There are 15 national park service sites in New Mexico. Only the Manhattan Project National Historical Park is shared with other states: Tennessee and Washington. Aside from being listed as one of the national park service sites in New Mexico, this property is part of the Chaco Culture National Historical Park, which is a UNESCO World Heritage Site. Managed by the National Park Service, it preserves the Ancestral Puebloan structures within the town of Aztec in New Mexico. The pueblo structures within the site were believed to have been around since the 11th to 13th centuries. 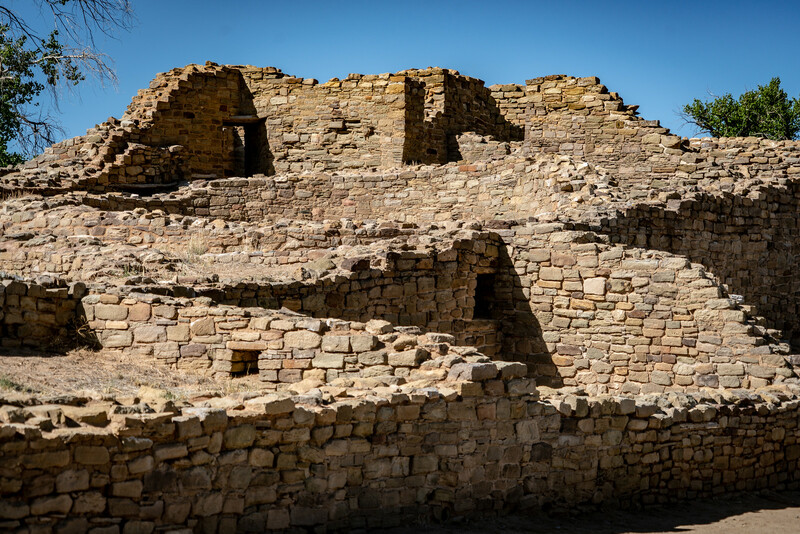 The naming of the site as a national monument was in 1923 but it wasn’t incorporated into the UNESCO list as part of the Chaco Culture National Historical Park until 1987. This national monument encompasses about 33,667 acres of land and is listed under the New Mexico State Register of Cultural Properties. It is also one of the national park service sites in New Mexico. The area aims to preserve the former homes of the ancestral pueblos that lived in the area from 1150 to 1600 AD. Roughly 70% of the Monument area consists of the wilderness wherein there is a wide range of wildlife habitats and life zones. The entire site consists of diverse and scenic landscape, which scientists are now working on to preserve the culture of the land. There is an average of fewer than 200,000 visitors to the property every year. This is another national monument included in the list of national park service sites in New Mexico. The site gets up to 46,000 visitors per year and is managed by the National Park Service. The entire property measures at 793 acres in land area with a focus on protecting the extinct and symmetrical cinder cone volcano. Scientists estimate this volcano to be about 62,000 years old. It rises to an elevation of more than 8,000 feet with an irregular rim on its crater. Capulin Volcano is an outstanding natural landmark in New Mexico and is studied by scientists as it is a great subject for understanding volcanic formation. In addition, it provides insight into the geological transformation in New Mexico for 10 million years. Aside from being one of the national park service sites in New Mexico, this is also recognized as a UNESCO World Heritage Site for its natural importance. The Carlsbad Caverns National Park is located in Eddy County, New Mexico. It was established in 1930 and gets an average of 397,000 tourist visits per year. It was inscribed into the UNESCO list in 1995. 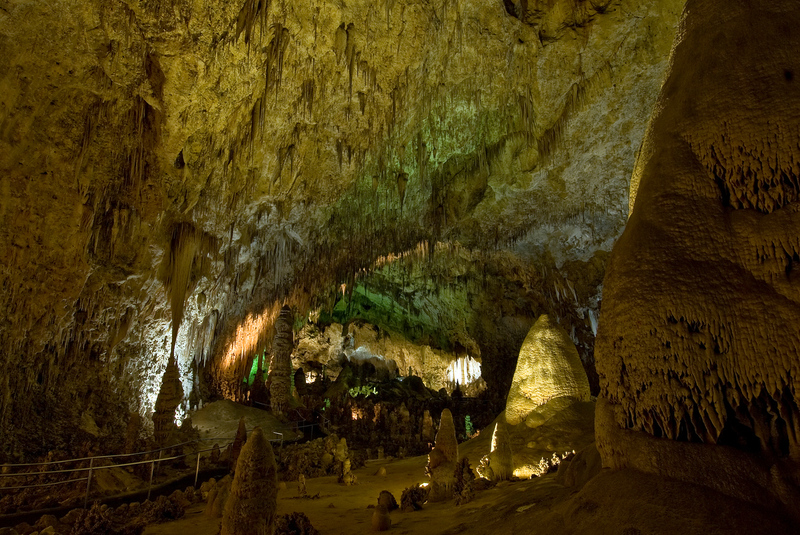 The primary attraction of this national park is Carlsbad Cavern or the show cave. It is a massive cave chamber spanning a total land area of nearly 47,000 acres. The “Big Room” is the largest of these cave chambers wherein you can find natural limestone chambers rising up to 4,000 feet in height. It is the 5th largest cave chamber in the country. This is another UNESCO World Heritage Site in the list of national park service sites in New Mexico. 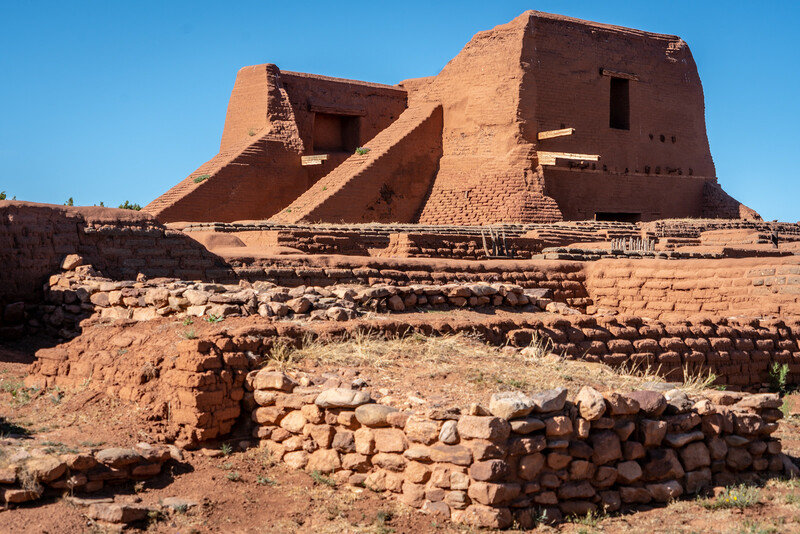 Chaco Culture National Historical Park features the densest collection of pueblos that the American Southwest has ever seen. It is located between Farmington and Albuquerque, New Mexico. The park was established as the most relevant pre-Columbian cultural and historical area in the country. 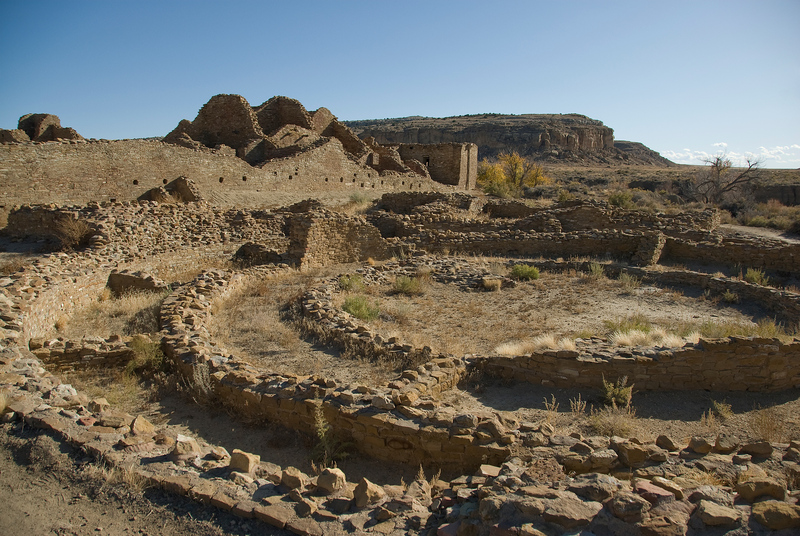 During the 900 and 1150 AD, Chaco Canyon is considered the major cultural center for the ancient Pueblo people. The method with which these structures were created add to the impression of this cultural heritage – they were made out of quarried sandstone blocks and timber. Their use of astronomical observations and concepts in the construction is another important area of study for this ancient culture. This national monument is governed by the National Park Service and was established in 1987. As of 2011, it gets more than 105,000 visitors per year. The term El Malpais literally means badlands; hence, you can expect a barren and dramatic landscape in this part of Mexico. Geography and geology of this property is a crucial subject to study lava flows, volcanic features, and cinder cones. In addition, it is also home to the oldest Douglas Fir trees in the world. Located in El Morro, this ancient east-west trail is one of the national park service sites in New Mexico. The sandstone promontory that has a pool of water along its base is the main feature of this national monument. This shaded oasis at the heart of the US desert in the West is a popular stop for many travelers. It was the Spanish explorers who dubbed it as El Morro, which is a Spanish term meaning the headland. There were several dates, names, and stories that these explorers had left behind, most of which had been preserved until today. However, carvings were already prohibited by the US federal law since 1906. Other notable features within the El Morro National Monument include pueblo ruins, water pool, inscriptions, and park trails. The national monument was established in 1954 in order to preserve the second of three forts on the site. The property also includes the ruins of the third fort. The property is located within the valley of Moro and feature huts built of pine logs. There is a 1.2 mile of trail that ends in the fort’s adobe ruins. A visitor center is located on the site that features exhibits that tell the story of the fort and stories about the Santa Fe Trail. This national monument was established primarily to preserve the Mogollon cliff dwellings in Silver City, New Mexico. 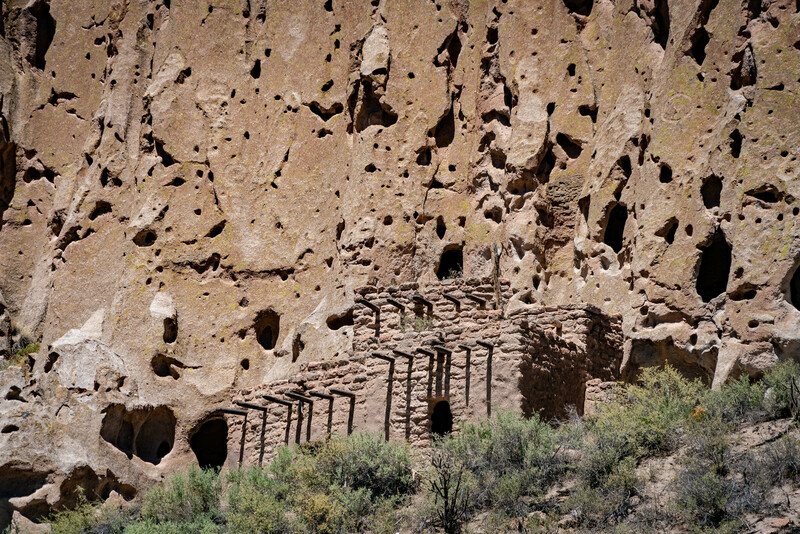 These cliff dwellings can be found within the Gila Wilderness and are the best example of the Mogollon People’s influence within the region although the exact origin of these cliff dwellings could not be determined. What is known is that the first European contact with the site was in 1878; since then, there have been many visitors to the site, most of which went to study these dwellings. The terrain within this national monument is varied with some parts featuring steep-sided canyons, while others had mesas, bluffs, and spring rivers. There are also geological studies on the site that indicate its volcanic history and origin. This unit of the national park service sites in New Mexico aims to preserve the legacy of the Manhattan Project, which is co-managed by the Department of Energy and National Park Service. There are three units of this park: Oak Ridge in Tennessee, Hanford in Washington and Los Alamos in New Mexico. This historical park was established in 2015 and its main goal is to preserve all structures within the sites listed above. These structures are only available to public access for touring purposes. The current status of Pecos National Historical Park was established in 1991 although it was previously named as a National Monument in 1965. 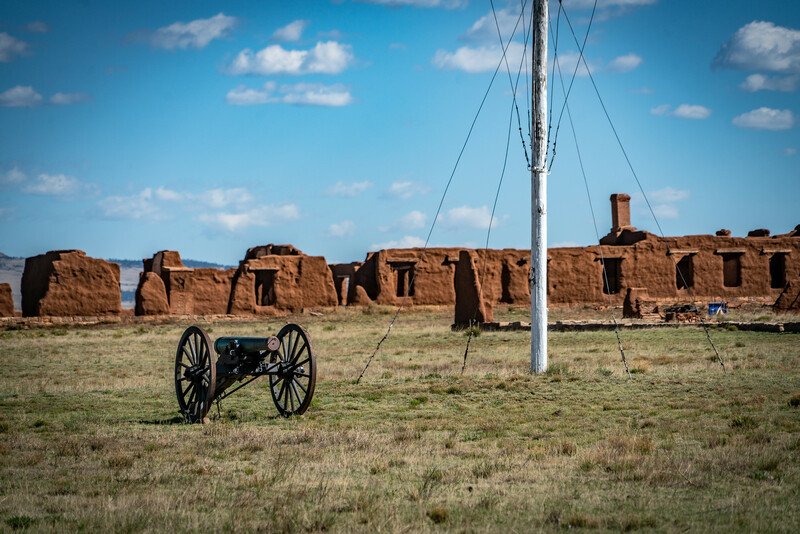 Originally built in 0800, this over 6,000-acres of land feature the first Pecos Pueblo amidst over 2 dozens of rock and mud villages during the prehistoric Pueblo era. Over the course of 350 years, there were over 2,000 people living in the five-story complex on the site. There are several non-contiguous units of the national historical park but the main feature protected within the main unit is the Mission Nuestra Señora de Los Angeles de Porciuncula de Los Pecos. This is a 17th-century Spanish mission built near the pueblo. This national monument features a volcanic basalt escarpment along the West Mesa of Albuquerque, New Mexico. 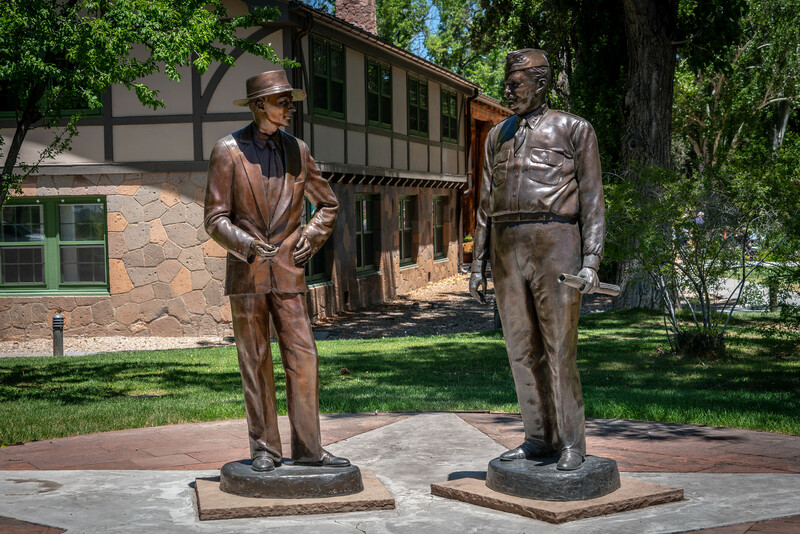 Since 1990, this property has been managed by the National Park Service along with the City of Albuquerque. This property preserves numerous cultural and natural resources. 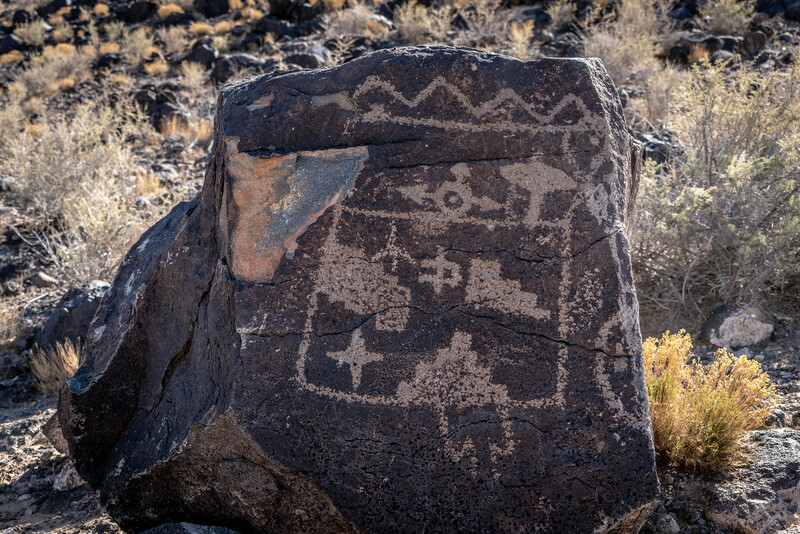 Among the most prominent features within the site are five volcanic cones, over 24,000 carved images from the ancient Pueblo people, and several archaeological sites. The images carved out by the ancient settlers were people, animals, and crosses. There are also other more complex images that archaeologists have studied. All of these images provide a glimpse into the cultural heritage of the region. Located in Mountainair, New Mexico, this national monument is the site of a once-thriving Puebloan community. Specifically, this is the site of two Native American trade communities. By the 17th century, Spanish Franciscans establish their missionary efforts in the region. In fact, the current name of Salinas District was given by the Spanish. Today, what is left of the site are reminders of the contact between the Spaniards and native Pueblo Indians. The National Park Service manages the mission churches and partially excavated pueblos found within the property. This national preserve is one of the national park service sites in New Mexico and natural landmark (designated in 1975). 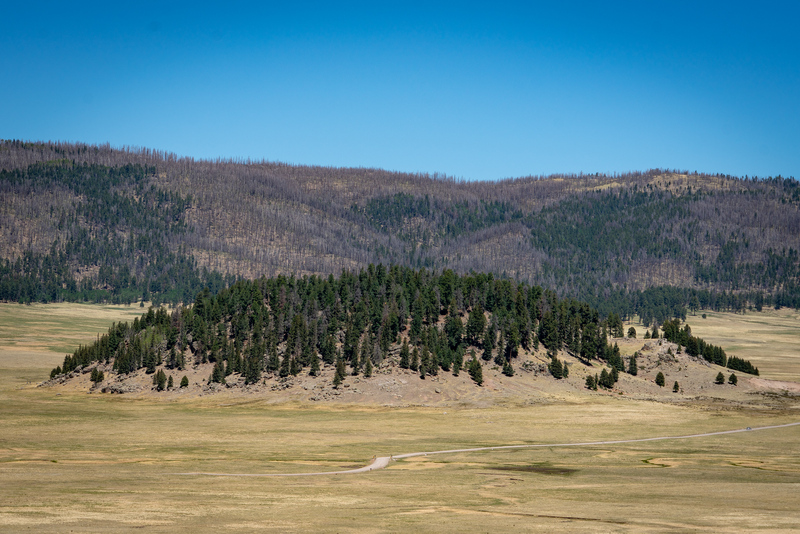 The site was declared to preserve a huge portion of Valles Caldera, which is considered important for its ecological, cultural and geological features. The total land area of the property is at 89,216 acres but was previously handled by the Valles Caldera Trust until 2015. 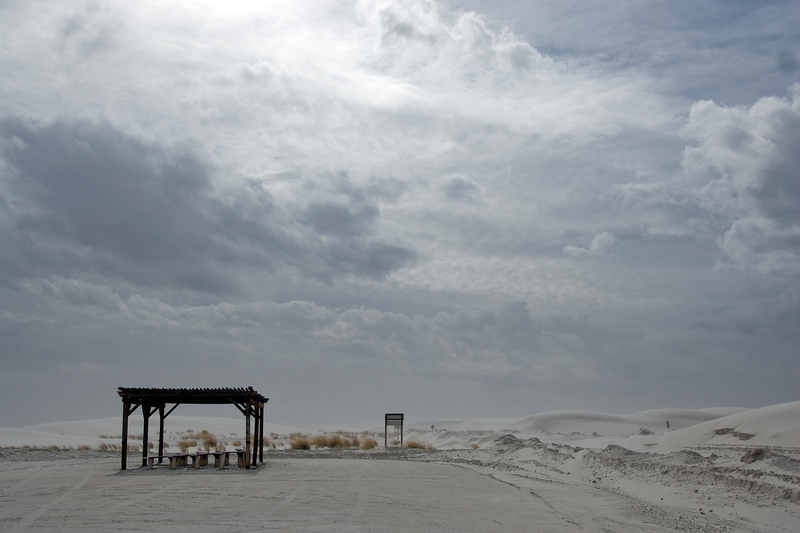 This national monument in Alamogordo, New Mexico consists of a field of white sand dunes formed out of gypsum crystals. This field is the largest of its kind in the world. Hence, it was included in the list of national park service sites in New Mexico. This is a rare type of sand since it is water-soluble. Hence, it will be dissolved by the water and carried onto the sea during rainfall. For this sand dune, most of the dunes sink to the ground or create shallow pools. The good side is that unlike other sand dunes that are quartz-based, it does not produce heat when exposed to the sun so it is safe to walk on.